The collection has 40 foundation shades...with 40 more to come! Unless you have been living under a cave, you know about Rihanna's new cosmetics line - Fenty Beauty. The launch caused an outrage and social media can't stop talking about her products. Here, we bring you everything you need to know about Fenty Beauty, including where you can get it in Dubai. Why is the line called 'Fenty Beauty'? Rihanna is in the league of people that are only addressed by their first name (Madonna and Beyonce being among a few others), and it is a little known fact that Rihanna is actually her middle name. Her full name is Robyn Rihanna Fenty and hence the name Fenty Beauty. What inspired Rihanna to create Fenty Beauty? According to the Fenty Beauty website, Rihanna was inspired to create Fenty Beauty after years of experimenting with the best-of-the-best in beauty—and still seeing a void in the industry for products that performed across all skin types and tones. What's in the Fenty Beauty collection? Who is the Fenty Beauty line suitable for? Fenty Beauty products are universally suitable. 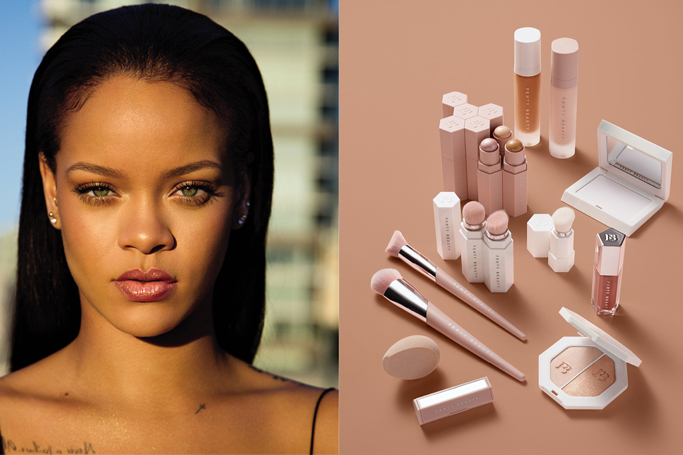 According to the Fenty Beauty website, Rihanna launched a makeup line “so that women everywhere would be included,” focusing on a wide range of traditionally hard-to-match skin tones, creating formulas that work for all skin types, and pinpointing universal shades. Where can I find Fenty Beauty products in Dubai?